South Fremantle Family Dental accepts all major health funds. The rebates are claimable on the spot using our HICAPS system. 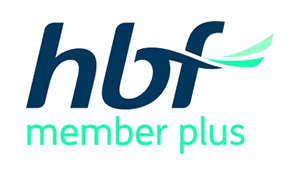 We are a participating health fund provider for, HBF. 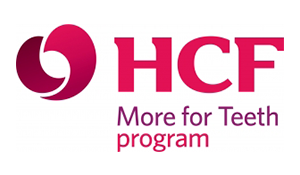 ‘HCF More for You No-Gap services are open to members on selected extras cover (subject to available limits). ‘NIB members you will receive the maximum rebate on your major and general dental treatments at South Fremantle Family Dental. 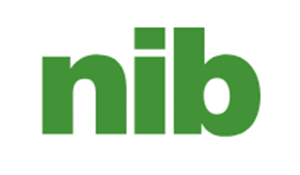 As a NIB First Choice provider, we offer a range of dental services at an agreed rate with NIB. Please note, out-of-pocket expenses (gap) will be subject to your level of cover and the balance of annual limits*as dictated by your NIB Policy. CBHS Dental Choice Network Member. 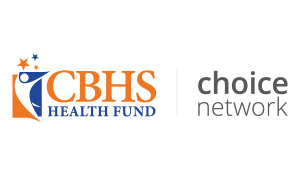 Our dentists are part of the CBHS Dental Choice Network. So if you are insured with CBHS call South Fremantle Family Dental for your next dental checkup and clean. Child Dental Benefits provides a range of dental services to Australian children between the ages of 2 and 17. The benefit is capped at $1,000 per child, which can be used over a two-year period. The Child Dental Benefits Schedule replaces the Medicare Teen Dental Plan and is means tested. A child is eligible if they are aged between 2 and 17 years old, are eligible for Medicare and are part of a family receiving Family Tax Benefit Part A. Eligible families should receive a letter to confirm their eligibility. Eligibility is determined each calendar year. Let us know before the appointment if you intend to use this scheme to enable us to assist you to claim your benefit from Medicare. Contact the Australian Government Department of Human Services for more information. At South Fremantle Family Dental our dentists are registered with the Department of Veterans’ Affairs to provide subsidised dental care. 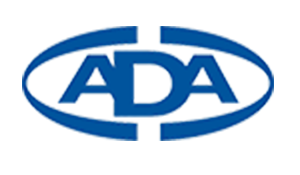 So if you’re an eligible member, you will be entitled to a range of dental subsidies with little or no out-of-pocket expenses for our dental services. To be eligible, you must be the holder of a Gold or White Repatriation Health Card. For information about conditions of eligibility contact the Department of Veterans’Affairs. HICAPS electronic on the spot health fund claiming is available at South Fremantle Family Dental. The health fund benefit amount is deducted from the overall charge, so you only need to pay the difference. Remember to bring your health fund membership card so you can claim through HICAPS. Why South Fremantle Family Dental? South Fremantle Family Dental are conveniently located next to Woolworths, in the shopping centre just off Hampton Road. South Fremantle Family Dental, your friendly Fremantle Dentist, is an independent and privately owned Fremantle Dental Clinic just a short distance from the Fremantle CBD. Our Dentists and friendly staff are committed to providing an excellent standard of service and Fremantle Dental Care. Whether you are seeking a check-up, routine cleaning, have a dental emergency, smile makeover, or facial injectables to stay bright and fresh South Fremantle Family Dental has an extensive range of services to accommodate your Dental and beauty needs. Dr Kshipra Deodhar and Dr Kay Zhan make up our Fremantle dentist team and are excited to meet you and offer their dental expertise to all patients who come through the doors of South Fremantle Family Dental. 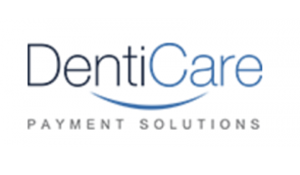 Our team provides excellent Fremantle dental care at our South Fremantle dental clinic. Let us help you decide how to move forward with your dental care. South Fremantle Family Dental understands that patients with dental emergency require dental treatment and advice as soon as possible. If you have an emergency, any questions, or would like to book an appointment South Fremantle Family Dental the Fremantle Dental Clinic for you. We’re here to help! Please don’t hesitate to Contact Us. We can’t wait to hear from you! Let our expert Fremantle Dentist team provide the best Fremantle Dental Care at our state of the art Fremantle Dental Clinic! We look forward to meeting you!